You can do it even faster, using the Search Everywhere tool (press Shift twice): type "Show Line Numbers" (or even "line") and the top hit is the switch for permanent line numbers. There are 2 switches for line numbers, one that has a On/Off switch and works globally, and one without the switch - for the current file. And one more for the Active Editor (current file). Go to Settings/Editor/General/Appearance and enable Show line numbers to permanently show line numbers for all editors. The solution with View > Active Editor > Show Line Numbers seems to work only for the active editor (when you close the current tab or open a new file you have to enable it again). 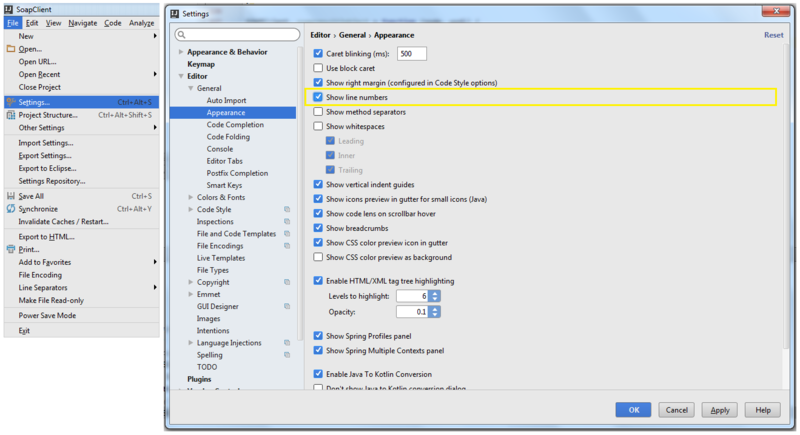 Go to Preferences > Editor > Appearance, and select the Show line numbers check box. It will turn on the line numbers permanently. Just right click and enable Lines in Windows. For more info check this link. Or, if you type "line numbers" into the main search box you'll be presented with a switch you can set right there. Not the answer you're looking for? 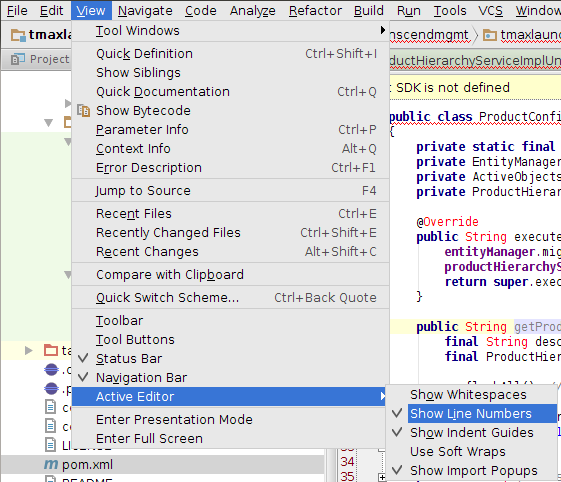 Browse other questions tagged java intellij-idea intellij-14 or ask your own question. 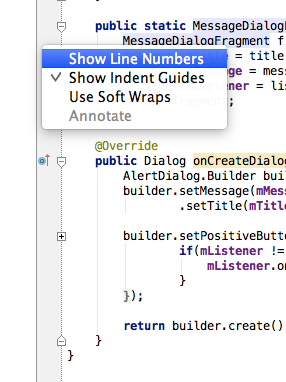 How can I permanently enable line numbers in IntelliJ? Things possible in IntelliJ that aren't possible in Eclipse? 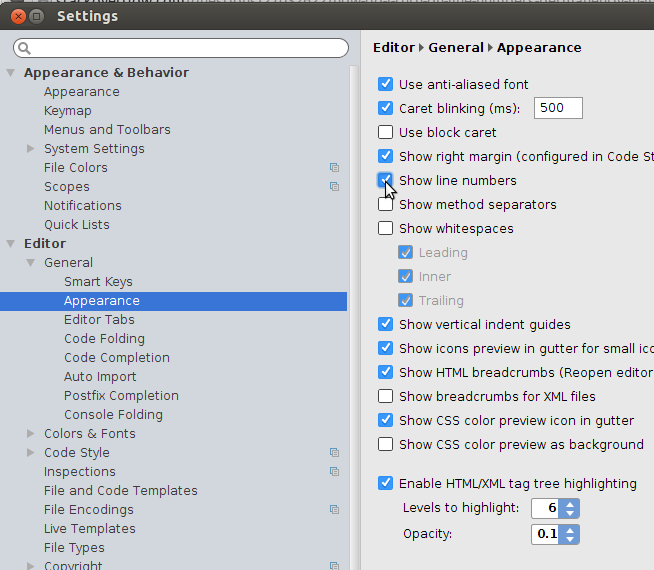 How do I turn off the unlimited whitespace in IntelliJ editor?